Sony Computer Entertainment has acquired Sucker Punch, the studio behind titles like Infamous and Sly Cooper, the Tokyo-based game giant revealed today. 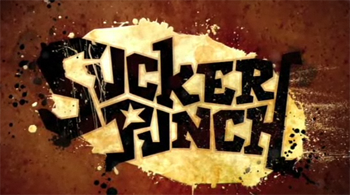 Sucker Punch was previously an independent studio. However, it has worked only on PlayStation titles since 2000. "Sucker Punch Productions is one of the most highly acclaimed development studios in the industry and we have enjoyed a wonderful relationship with the company for over 12 years. We are delighted to officially welcome them to the SCE family," said Sony's Shuhei Yoshida in an official release. Sucker Punch is now officially a part of the Sony Computer Entertainment Worldwide Studios, which is comprised of 16 studios across the globe and responsible for titles ranging from Twisted Metal to Uncharted, Gran Turismo to LittleBigPlanet. Sucker Punch recently released Infamous 2, which Kotaku called the Post-Katrina game America deserves.